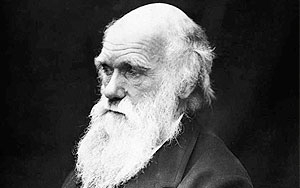 What Would Darwin Say About Advertising Today? Advertising? It all depends on how you define it. Advertising as ads is dead. But advertising as something engaging that happens to be, at some level, a pitch, is relevant. It has to be or the economy is screwed. How do you keep Darwin out of the picture? A panel at Advertising Week speculated on how brands must participate in media in order to keep their messages alive. Tara Walpert Levy, managing director of agency business development at Google, established the theme of the discussion: Ads are critical, but the challenge is to ensure that ad experiences are as good as the experiences consumers are trying to get to. The kickoff topic was ad blocking, but Levy made the point that ad blocking is a discussion about a symptom -- although a serious one that "poses problems for smaller publishers and advertisers." Fiona Carter, COO of advertising and branding at Omnicom Group, and Tim Castelli, president of national sales and partnerships at radio company iHeartMedia, both said ad-blocking is a natural (necessary) evolution in technology that addresses consumers' needs. As Castelli put it: "It forces us to avoid spray and pray, but rather, offer a great experience." Of course, he has the benefit of not having to deal with another major means consumers have of avoiding brand messages. "There is no time shifting for radio ads." On the panel, Don Coleman, founder of multicultural agency GlobalHue, discussed how engaging brand marketing means engaging content with a strong social media component. "Content is everything," said Coleman. "For us, it's how do we understand influence." He said that point is particularly important now that more and more consumers (about half of K-12) are not white. As far as AOR responsibility for this cultural change goes, Carter said the agency leader must understand that it isn't in the job of delivering ads any more. The job now is diplomatic and organizational as much as it is about creative. That includes pulling together partner agencies more effectively to build campaigns that are engaging across platforms. "Brands are looking for beacons because Consumers are more sophisticated now than we are, and clients are saying, 'I don't care which agency is giving [the idea] to me." Paul Caine, global chief revenue officer at Bloomberg Media Group, said the media industry is still at odds with all of that. "We are still at 'we sell, you buy.' We have to come together on how to provide insights. It should not be about platform negotiations. Analytic tools for buying and selling platforms are not relevant any more. It's building engagement through right storytelling devices."